Made from fabric, a Roman blind is a fabulous style of window dressing for any style of room and home. Choosing a Roman blind to compliment, coordinate or accent a room can make a huge difference to the finished look and the ambience. 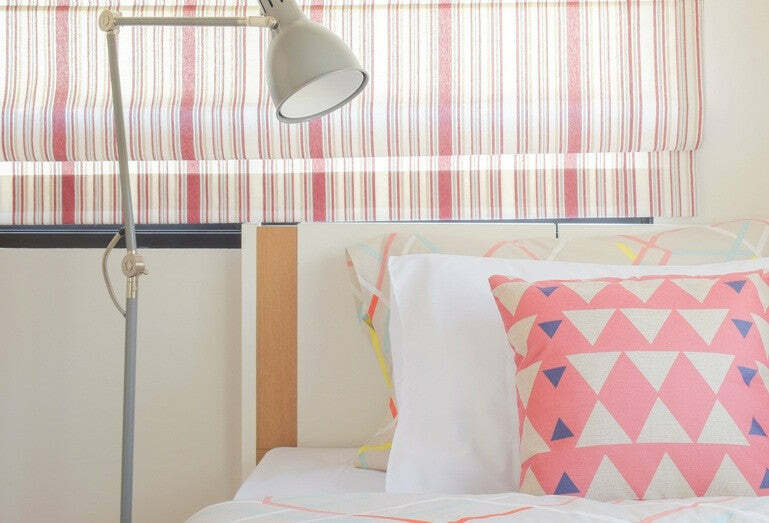 With so many different types of fabric, colours and prints available selecting a Roman blind to suit a particular room can seem a little daunting. However, this guide will help you make the right choices to achieve the look you're after. Plain fabric Roman blinds are ideal if you have patterned wallpapers as you won't have to worry about the patterns clashing. Choose one or two colours from your wall covering and select a plain blind within the same colour range. This way your blind will compliment the wallpaper rather than try and vie for all the attention. This approach is ideal for traditional styles of homes. Alternatively make your Roman blind centre of attention by choosing a bright, eye catching colour that screams out to be noticed. If you have plain walls patterned and textured Roman blinds will look stunning. Choose a pattern to compliment your theme for the best visual results. 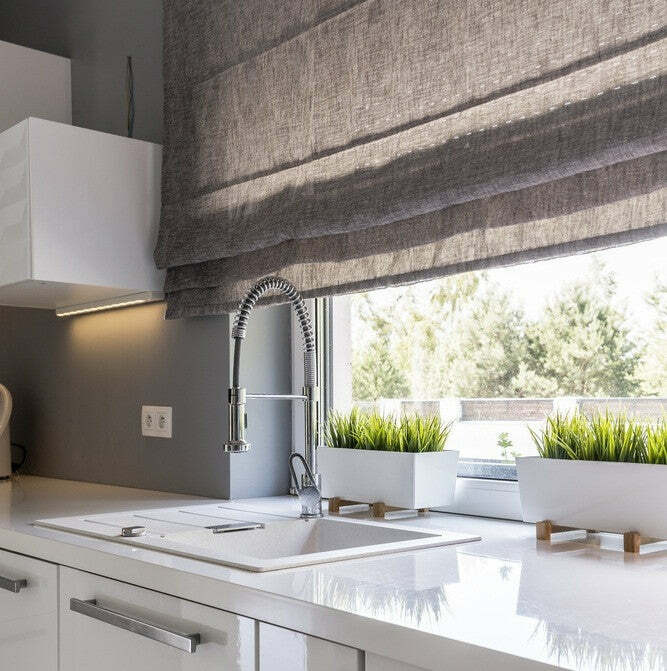 For example, if you have a retro décor bold geometric patterns will work beautifully, for a modern, contemporary interior Roman blinds with textural qualities such as crushed velvet, will look amazing. If your room has a theme ensure the blind works within the scheme if you want the completed room to look expertly finished. 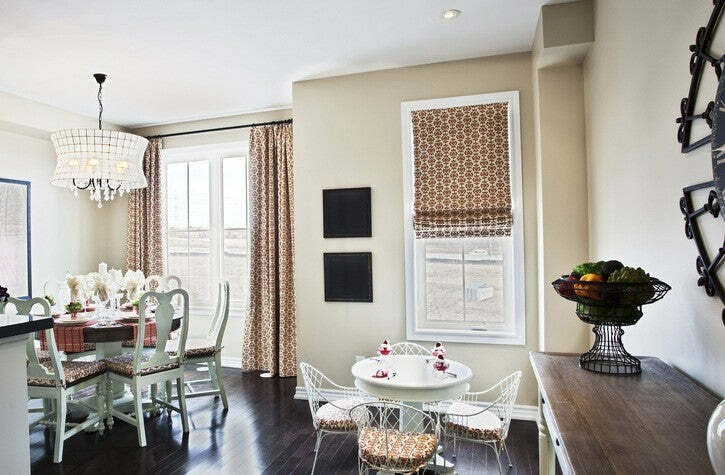 In a similar fashion chose Roman blinds for the different rooms within your home. In the bedroom soft colours and fabrics with a sensual look and feel, like satin or velvet, are perfect to creating a relaxing place to unwind. If light pollution is preventing you from getting a good night's sleep blackout Roman blinds are a must. In the living room try coordinating Roman blinds with cushions to achieve a cohesive and well balanced look. Choosing a blind in a colour that tones with your sofa and chairs will give a more calming visual appeal. If you're bold and daring go for deliberate colour clashing, this style is on-trend and perfect for modern living styles, however, there is a marked difference between deliberate colour clashing and simply using any colour and style of Roman blind. The former will look gorgeous, the latter a mismatch that's not conducive to good interior design. While there are some high quality ready made Roman blinds available, made-to-measure or custom blinds will give your windows dressing a more professional finish. Contrary to popular belief made to measure blinds are very affordable, with plenty of colour, pattern and fabric choices available to enhance your room's décor and decorating motif. Should you be able not find exactly what you're looking for you always have the option of making your own Roman blind. By using a Roman blind kit the process is doable for the vast majority of people. You choose your own fabric to compliment your style of home and preferred decorating scheme.